For many B2B businesses, quotes and proposals are an integral part of generating leads. The problem is they can be incredibly time-consuming to create for each prospective client, especially if you’re dealing with a large number of leads on a regular basis. You want to provide the most detailed quotes and proposals as possible, tailored to the specific requirements of each potential client. But the more you customise, the time you have to invest in each quote/proposal and your workload multiplies. 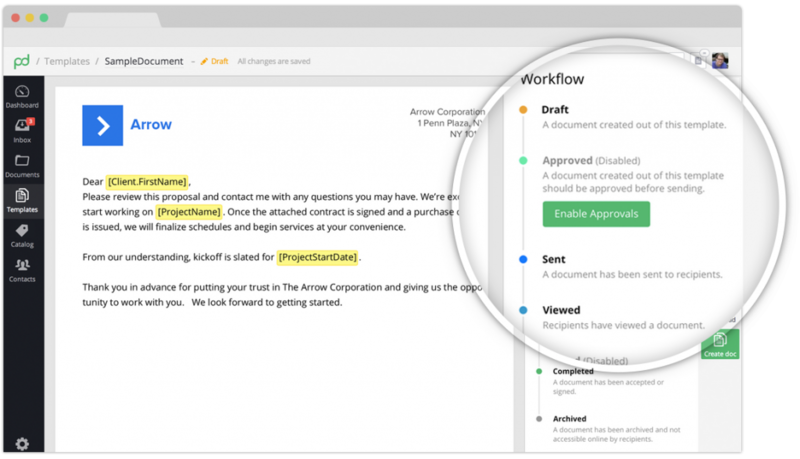 As with many things in today’s marketing landscape, the sweet spot between efficiency and quality lies in automation – and, in this article, we’re going to show you how to automate quotes and proposals. Why automate quotes and proposals? The goal of any automated marketing strategy is to cut out repetitive tasks. With the technology we have available today, repetition means you’re wasting time on tasks that could be automated – time that could be better spent elsewhere. The most basic way to automate quotes and proposals is to use templates, for example, so you’re not creating documents from scratch every time you pitch to a client. You can take automation much further, though. With the right tools at your disposal, you can instantly generate quotes and proposals so that you don’t have to do anything at all. You can programmatically set parameters, based on information your prospective clients hand over, to tailor your proposals to their specific needs and automate this entire process. Which means you can have a single automated quote/proposal strategy that generates leads from a dozen different target clients. Aside from saving time on each proposal, automation makes it easier to filter out the leads that are worth pursuing from those that aren’t – all without wasting any time on creating proposals for projects that aren’t a good fit with your company. Automation is transforming the marketing industry, cutting out repetitive tasks like proposal drafting, and the range of tools available is getting better every year. 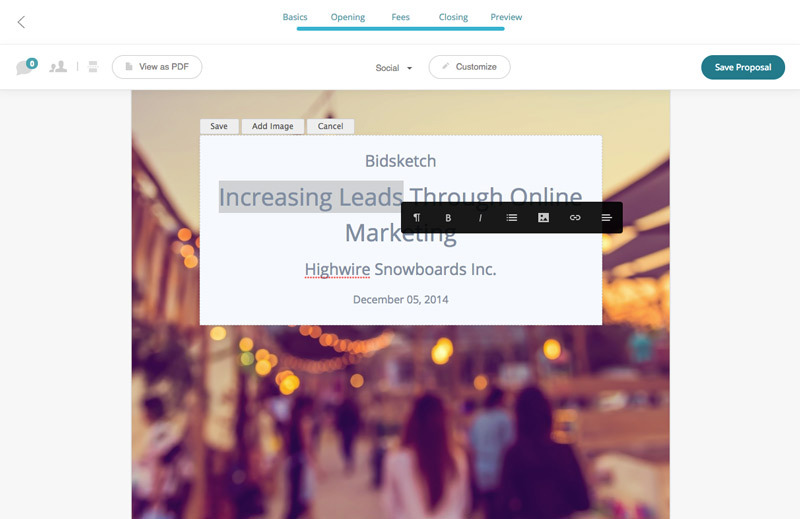 There are plenty of software options that can help you automate the proposal/bidding process and two of the most popular choices right now are Bidsketch and Quoteroller. Bidsketch promises to cut your proposal time in half with a range of templates and reusable content features to help you speed things up. You can also include optional add-on fees in your proposals to boost your profits, automate the next-step process for your prospects and electronic signatures mean you can close the deal instantly. Quoteroller by PandaDoc is a more comprehensive automation tool that helps businesses close 28% more deals. By combining templates and reusable content blocks, you can create proposals in a matter of minutes with minimal customisation. You can also see how effective your proposals are using PandaDoc analytics to see how long prospective clients spend on each section of your proposal and tweak your templates to improve results. Both of these tools are great options and they’ll speed up proposal creation to no end. But you can take things even further and automate the entire proposal/bidding process so you don’t have to do anything at all. You simply concentrate on generating those initial leads and let your automated proposal system take care of the rest. Use Leadformly to create a multi-step for that uses conditional logic to ask users questions about the nature of their project. This allows you to determine what kind of proposal each user needs (eg: web design with a budget of £10,000 vs marketing with an annual budget of £250,000 per year) and what their requirements are. Next, you use webhooks (code that sends Leadformly data to your proposal software) to send the relevant proposal with all the parameters defined on your multi-step form. 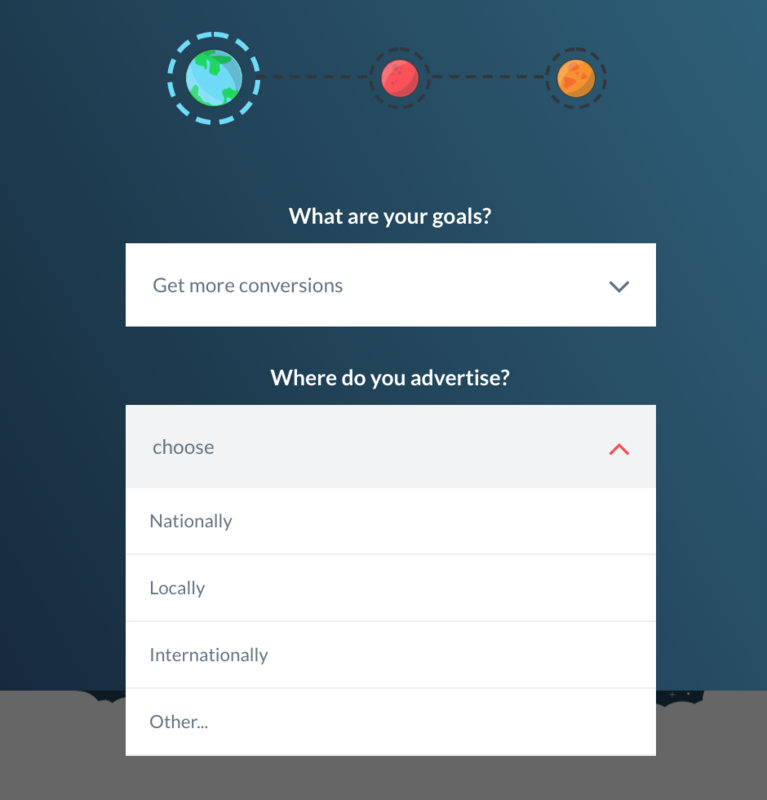 Which allows you to create your proposal templates for each type of lead you’re targeting with your form and they’ll automatically be sent out to the relevant user every time. There’s some development work involved in setting up these webhooks but the end result is an automated proposal/bidding system that closes the deal with clients while you focus on tasks that can’t be automated. 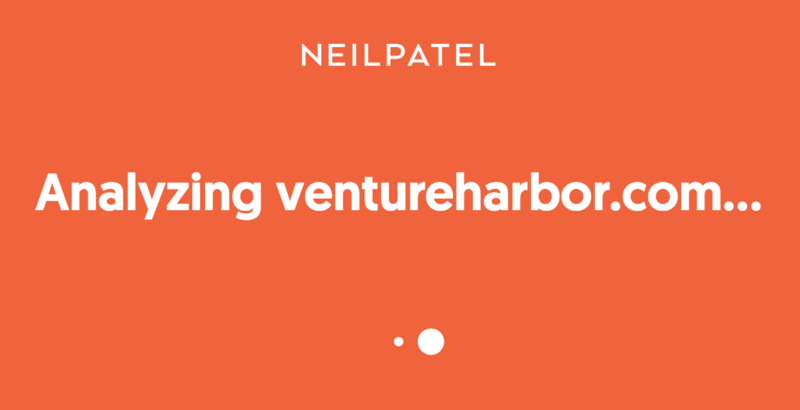 Venture Harbour isn’t the only agency automating proposals and bids. Neil Patel, who also happens to be a big proponent of automation in marketing, uses a similar tactic – both on his personal website and QuickSprout, which he co-founded. In this case, Neil integrates with Google Analytics to analyse your website and provide feedback on areas where it could be improved. This system promises to improve the performance of business websites and all it does is automate a report based on standard Google Analytics data. That’s a powerful way to generate leads without actually doing anything, once the initial automation system is up and running. This is the whole point: invest a little time into automating your proposal/bids and let it work its magic while you work on other things. 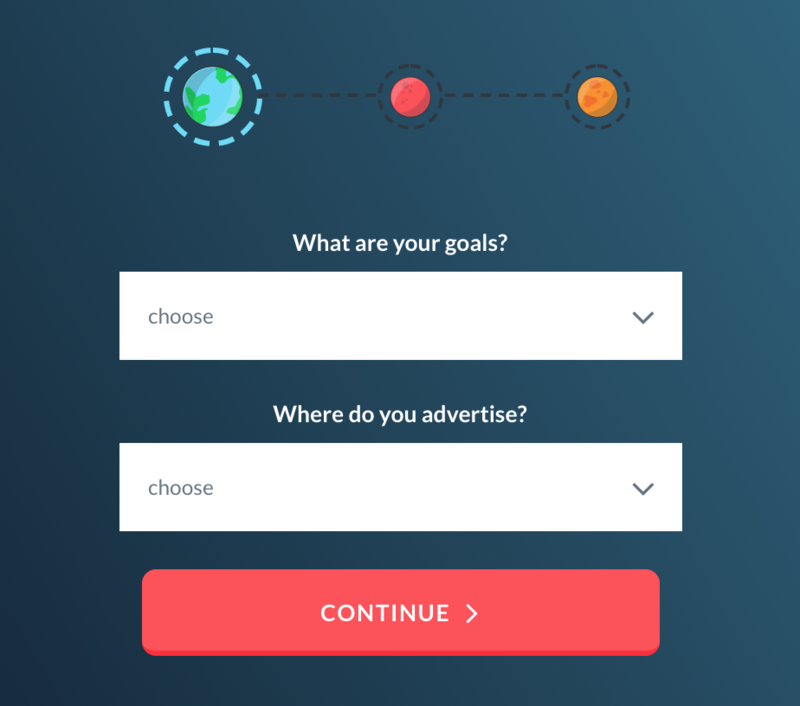 Another great example is Klientboost, which has a really nice integration of multi-step forms and automated proposals. It all starts with a strong call to action in the hero section on the homepage for its website. There’s also a CTA in the site’s sticky header, which means it’s always in view and Klientboost also uses exit-intent popups to generate as many proposal leads as possible. Once a user clicks to get their free proposal, they’re taken through a multistep form process which refines the content of the proposal they’ll receive. It’s an engaging process that tells users their individual needs are being taken into consideration and, crucially, gets all the information Klientboost needs to auto-generate proposals that are relevant and compelling to every prospect. When it comes to PPC strategies, there are a lot of variables to consider in terms of client needs and this is about as complex as automating bidding will get. However, Kilentboost proves it can be done effectively and it’s clearly working as the brand’s primary lead generation strategy. So, if Klientboost can automate its PPC proposals, there aren’t many proposals or bids you won’t be able to automate. The more time you can save with your automated quote/proposal strategy, the more time and effort you have to invest in crucial parts of your business where things can’t be automated. This kind of efficiency is what’s going to drive the best brands forward over the next few decades, where automation changes the resource management game forever. Don’t sit back wait for this to happen. Take automation by the horns and turn your business into a venture that grows by its own momentum while you concentrate on steering it in the right direction.